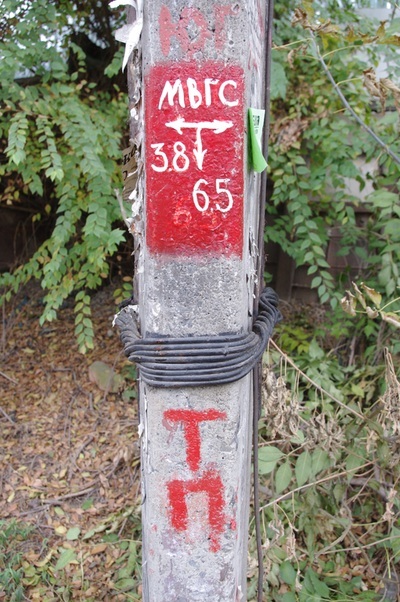 I would just like everybody to stop and marvel at the fact that there is such a thing as the Telegraph Pole Appreciation Society. 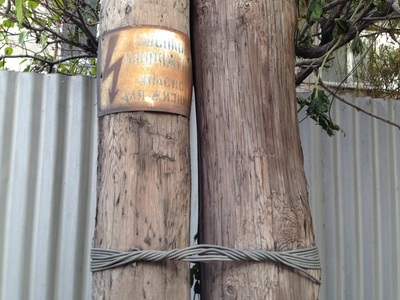 Their declaration of purpose: "All wire-carrying wooden poles...have an essence of whimsical poetry all of their own. There they stand, silent sentinels, forever observing us who scurry about beneath them, oblivious." 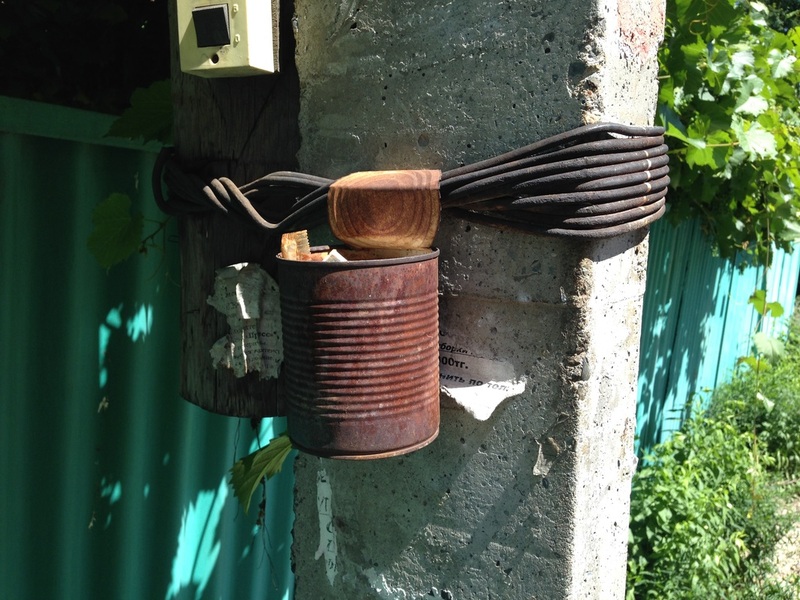 Now that's some poetry I can get down with! 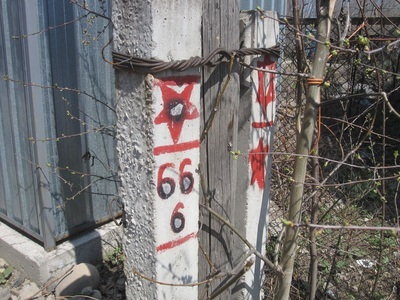 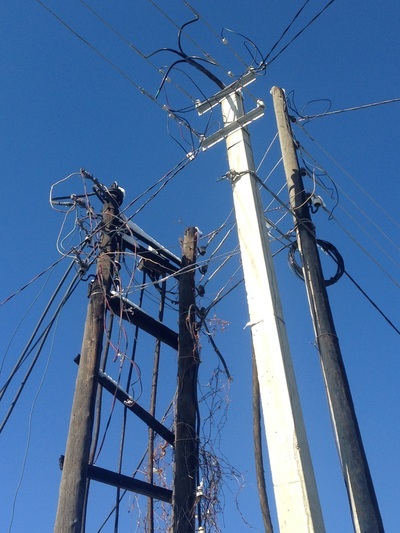 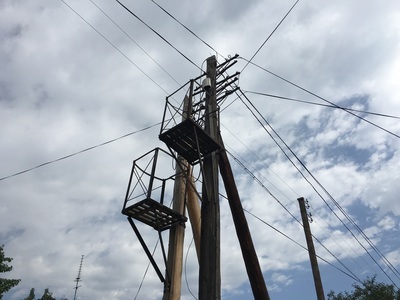 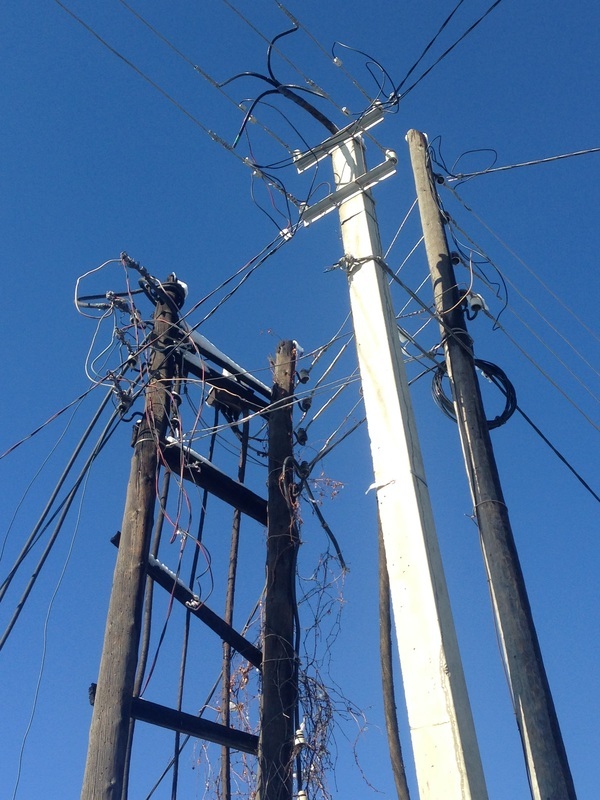 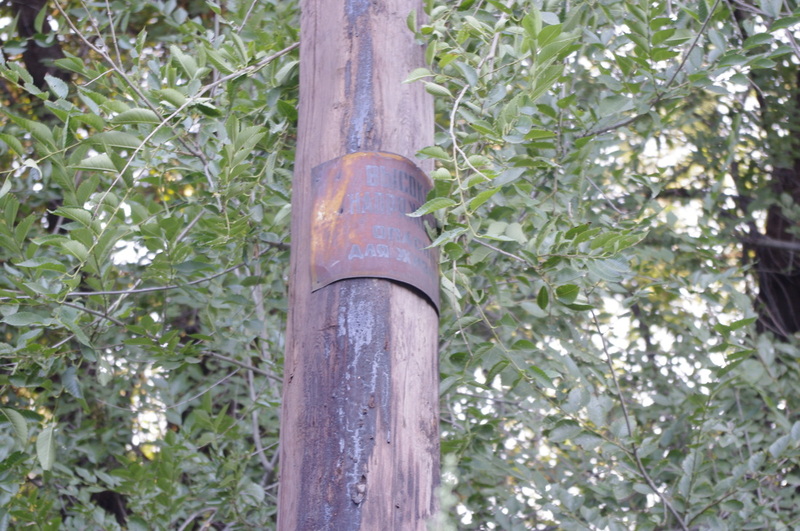 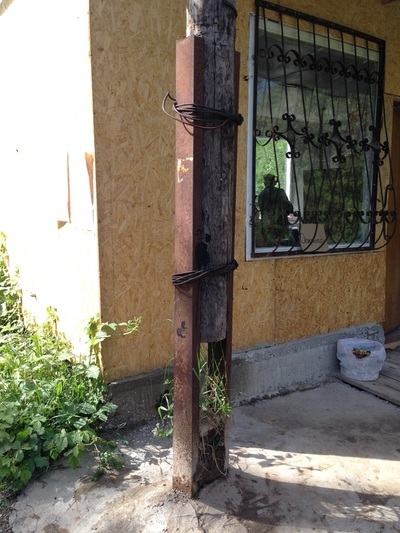 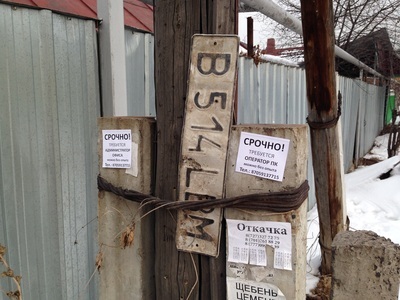 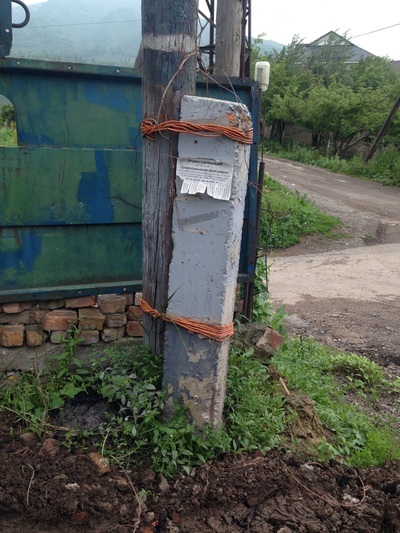 I've been in touch with the Society's "Member #0001", a kind Welsh man named Martin Evans, after I started appreciating Almaty's very own telegraph poles (or telephone poles, as we less-anachronistic Americans prefer). 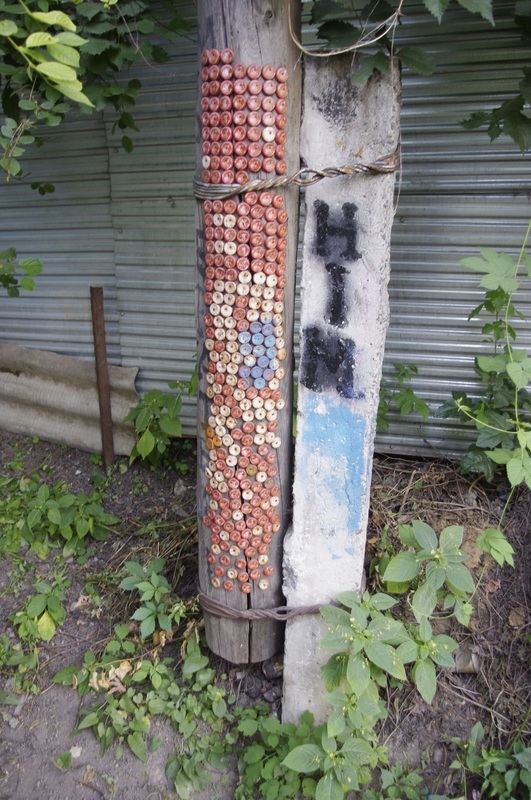 Almaty's poles are strange. 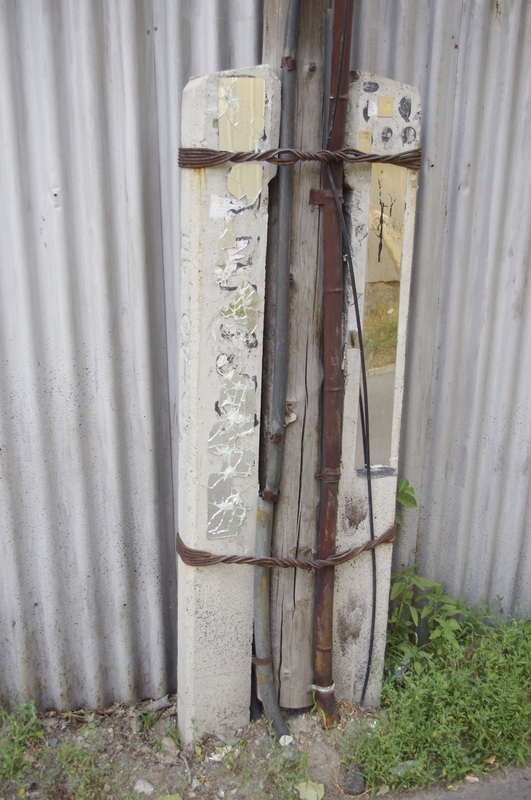 They aren't singular poles but tripods, the wooden column itself not touching the ground, but cinced up between two cement pillars and tied tight with sturdy metal wire. I wonder what the reason was for these suspended poles, so as usual I turned to the internet, the world's greatest resource for askers of stupid questions. 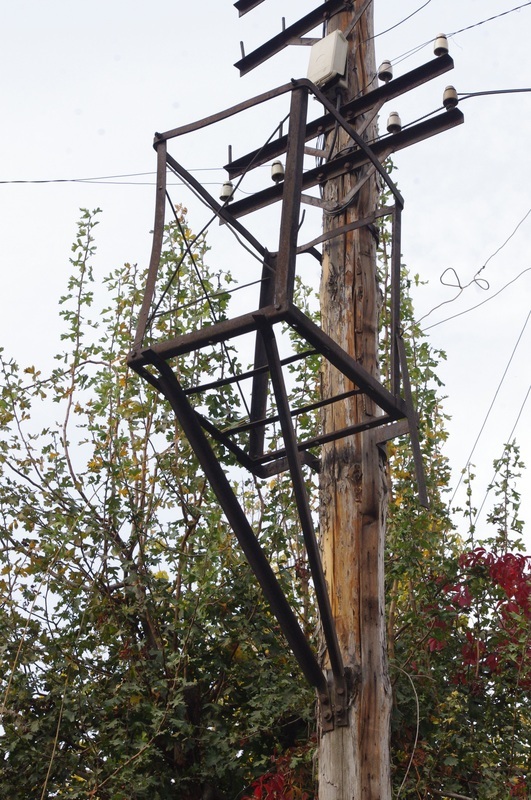 Member #0001 relayed the inquiry to his readers, and as of yet we have no solid answer. 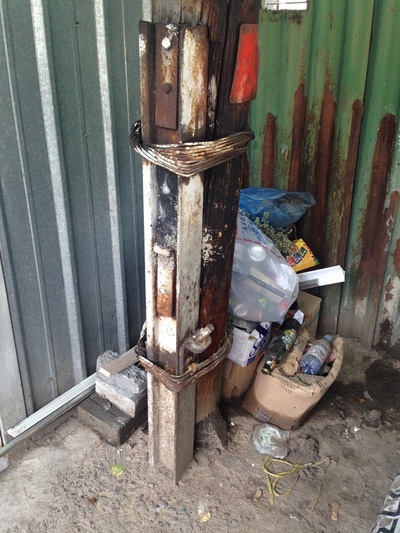 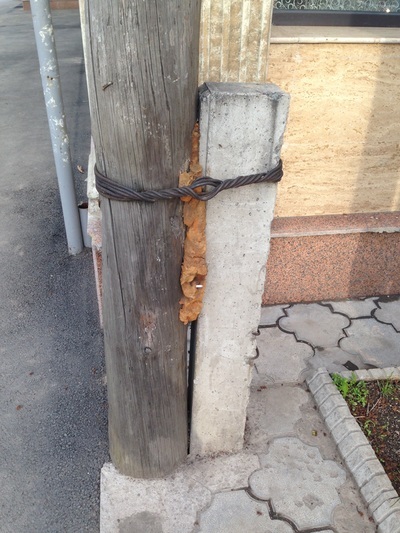 Martin suggested that perhaps the solution was to shore up poles against termite incursions, but I haven't seen any rotten poles before and I'm not sure about the concrete poles as a preventative measure - would termites be less likely to crawl up some pillars in order to reach their wood? 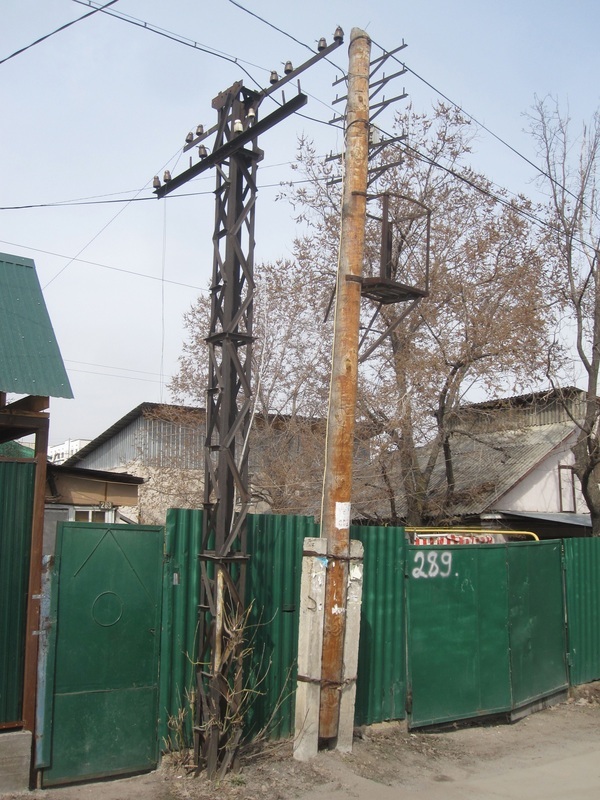 The second mystery for me was the metal platforms at the top top of nearly every pole. 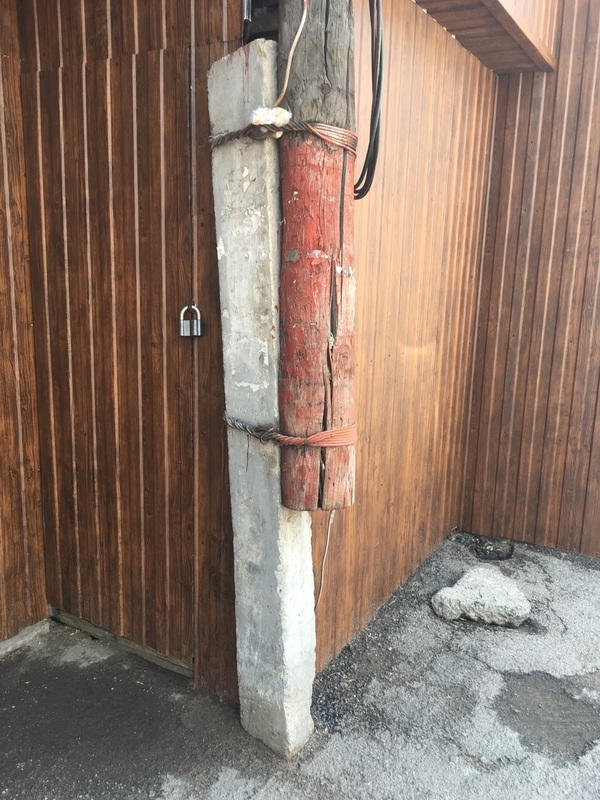 What were they for? This question at least would soon be answered. 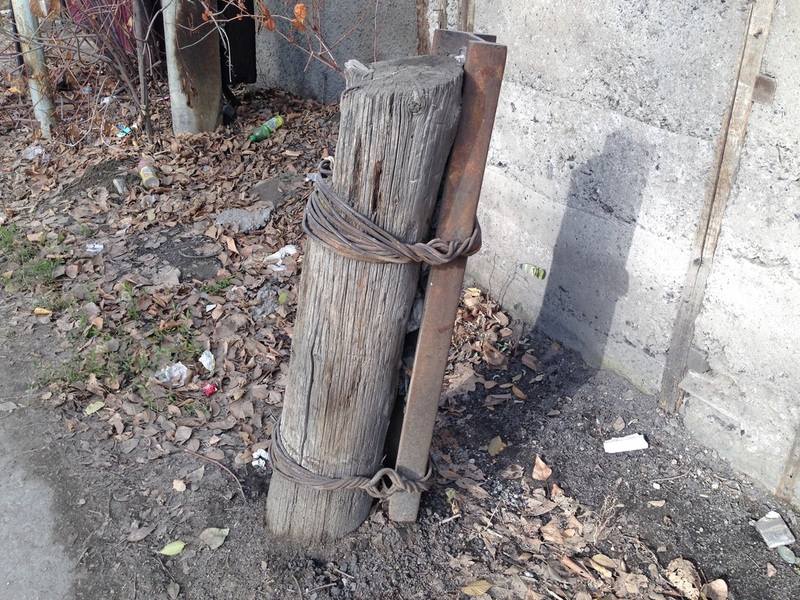 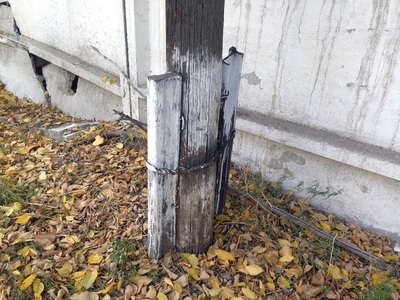 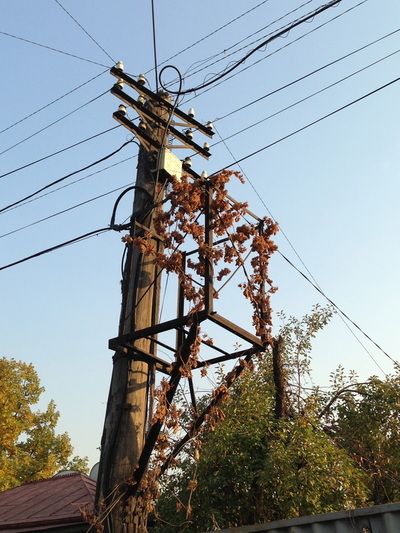 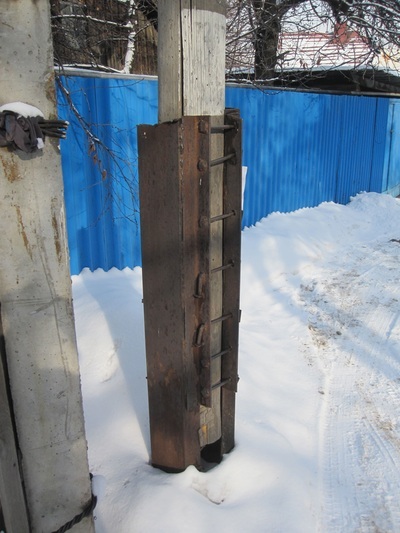 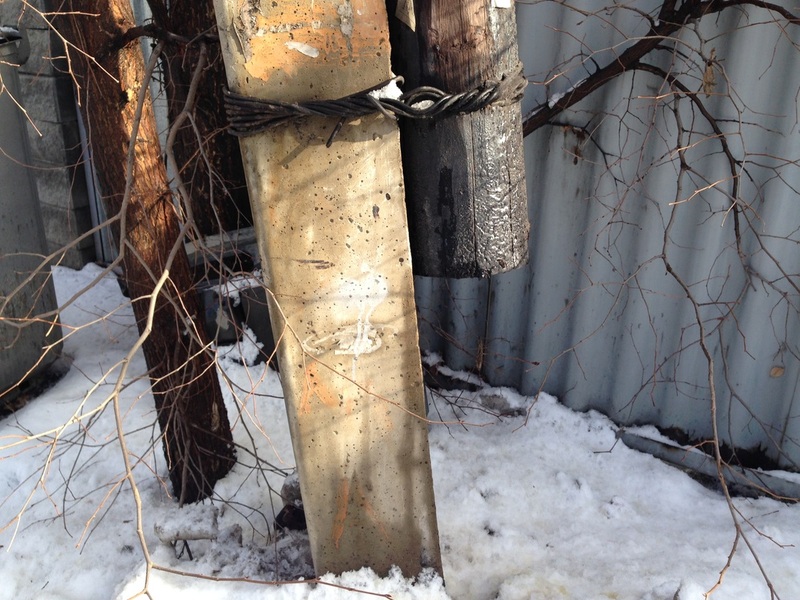 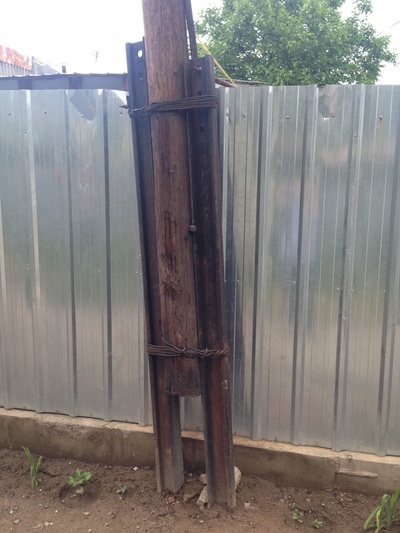 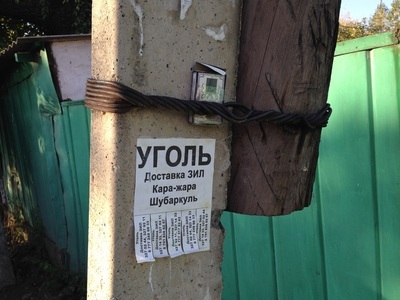 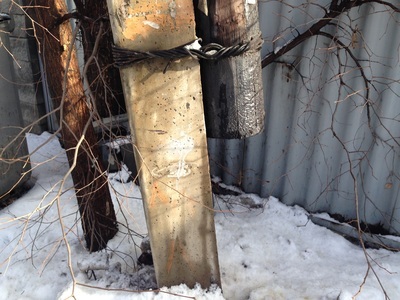 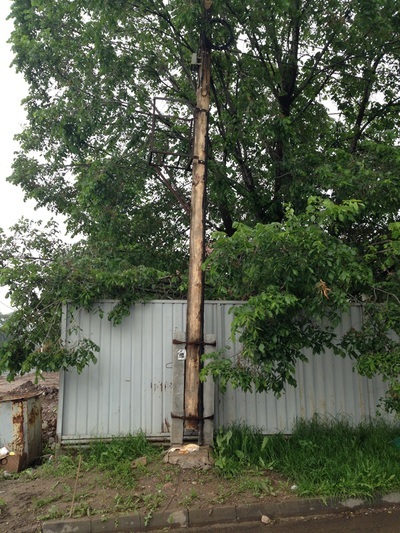 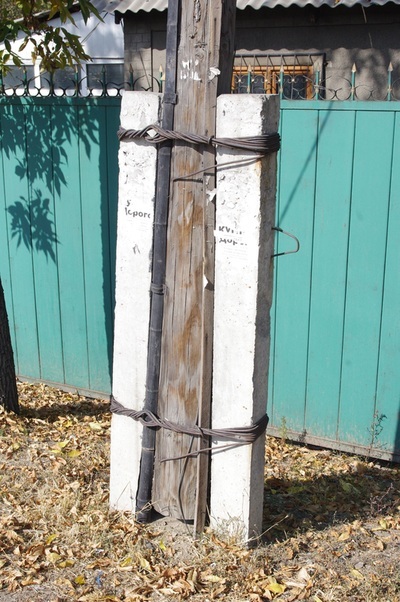 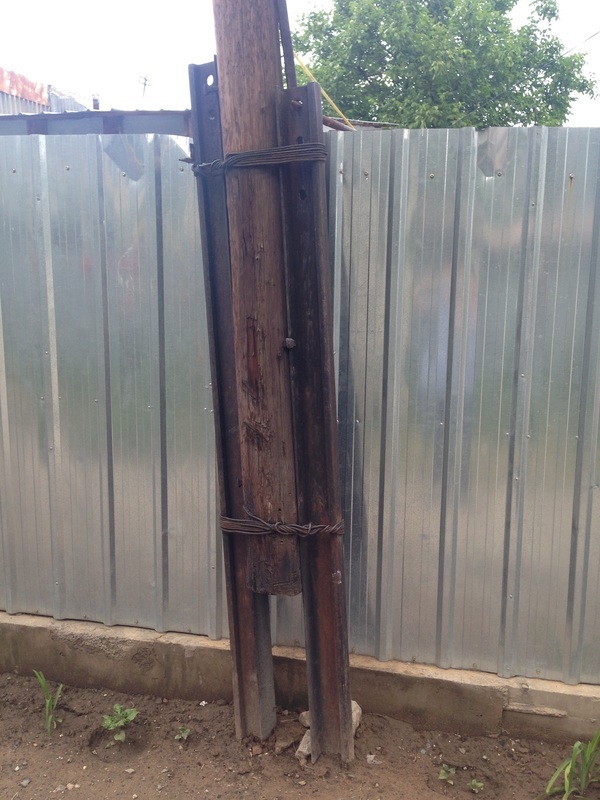 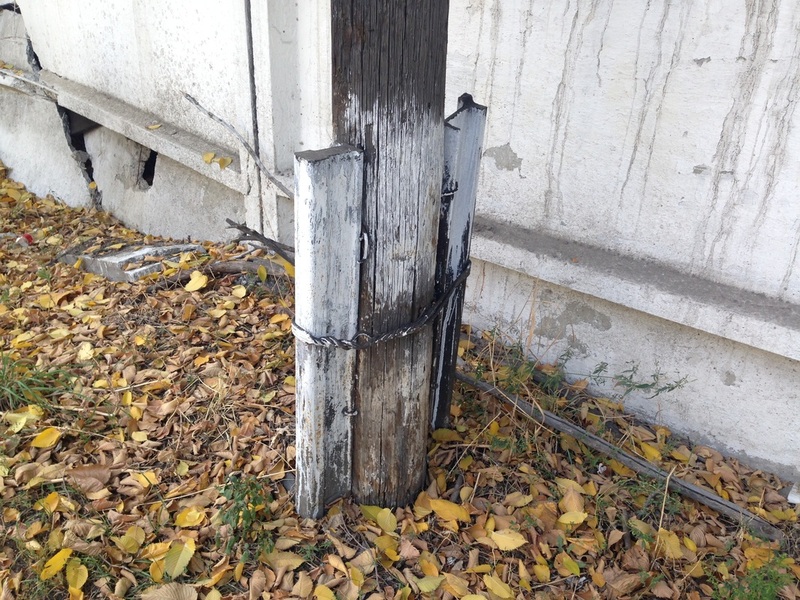 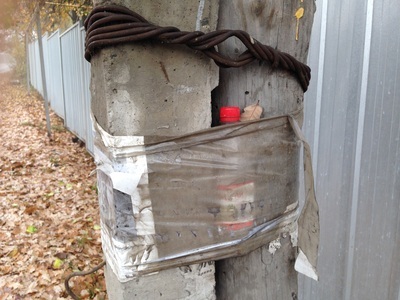 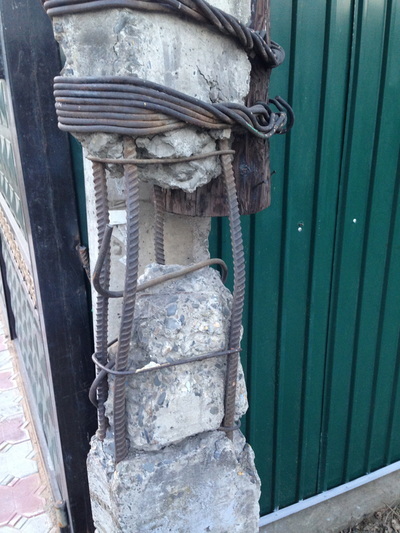 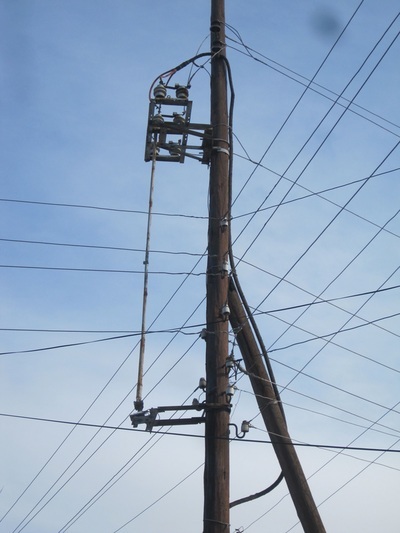 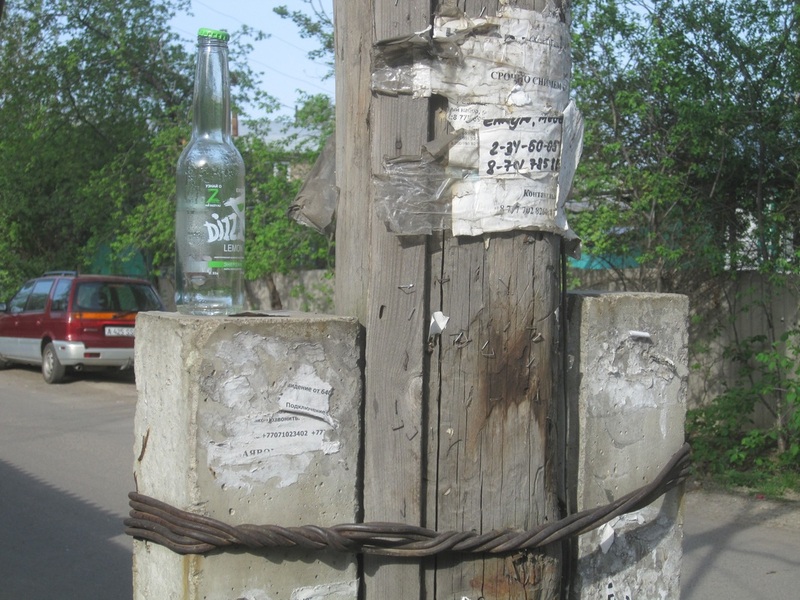 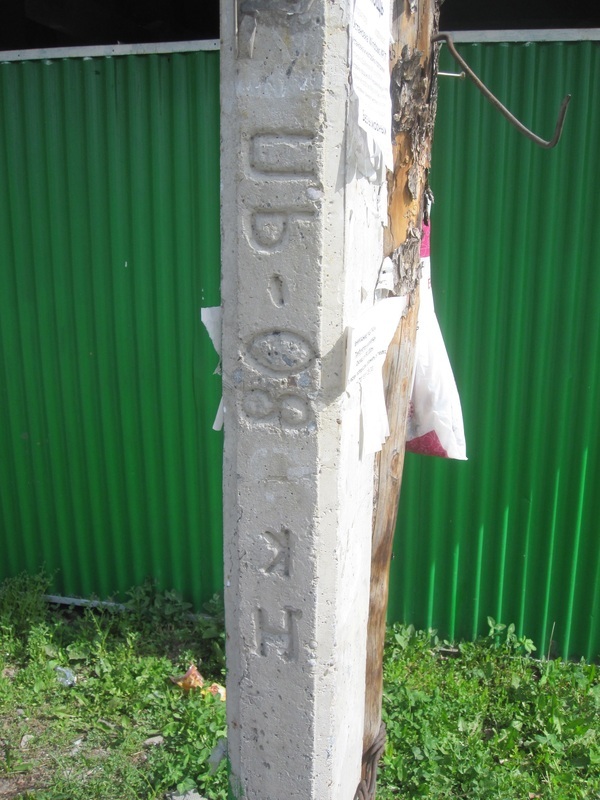 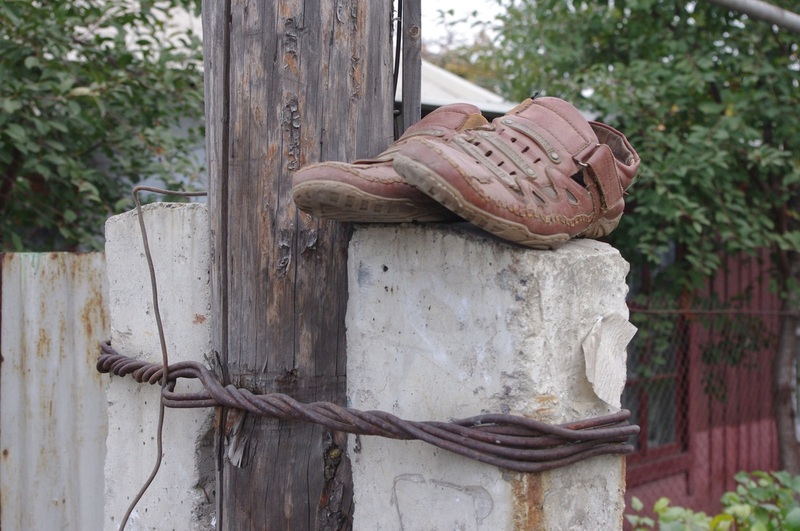 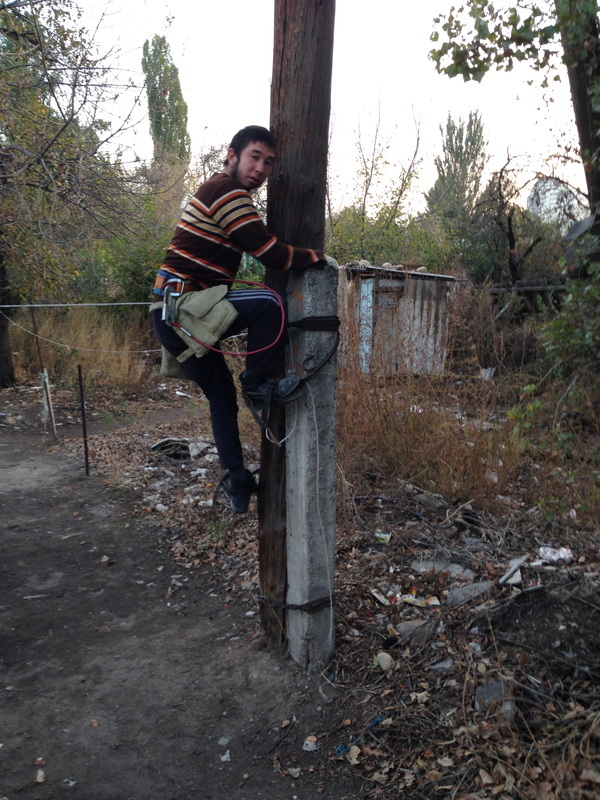 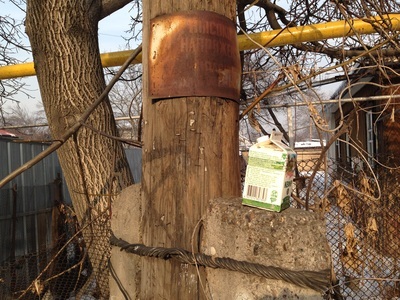 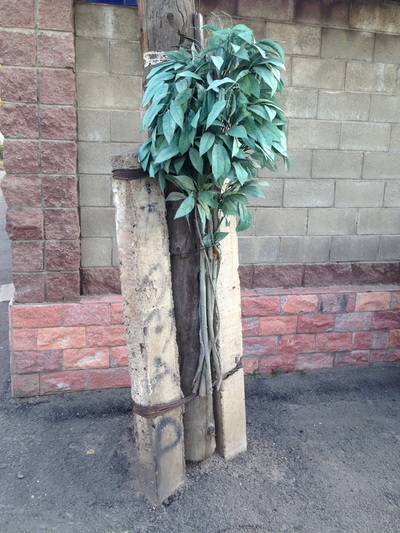 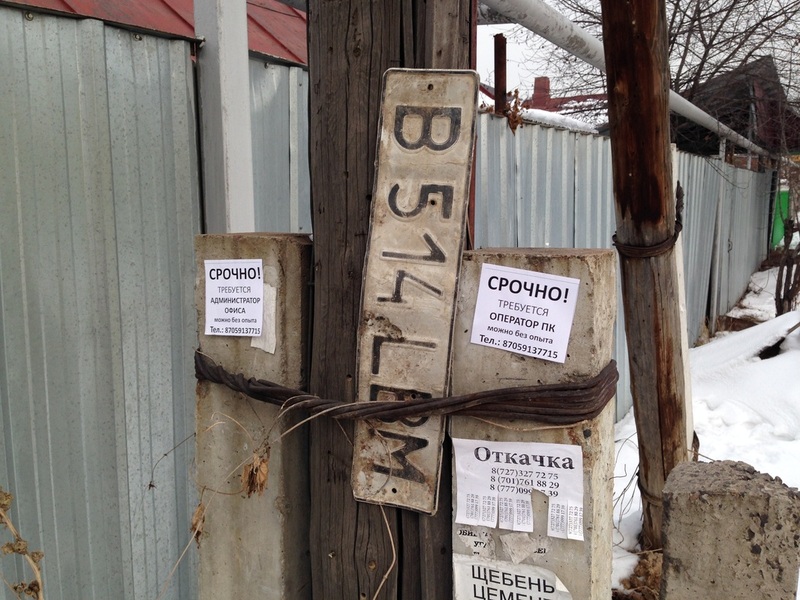 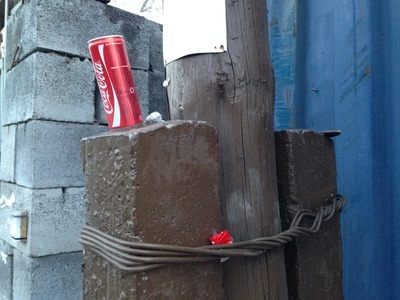 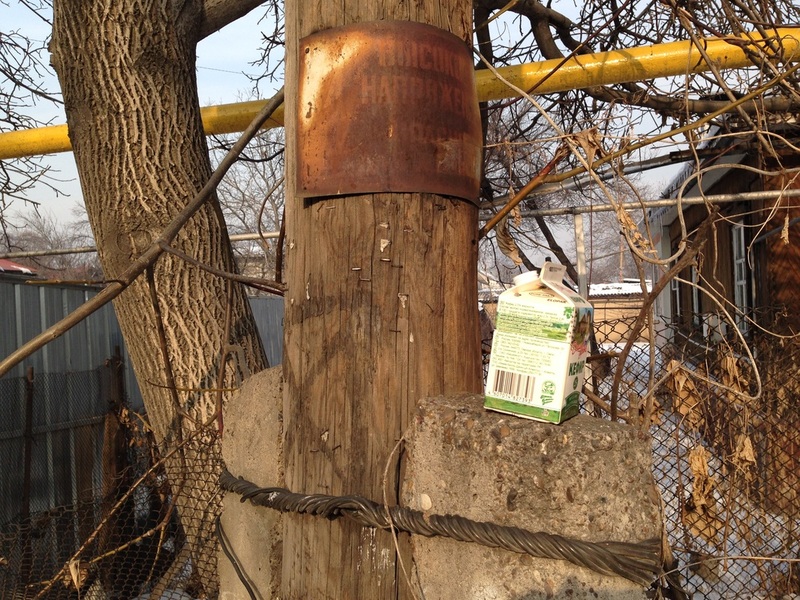 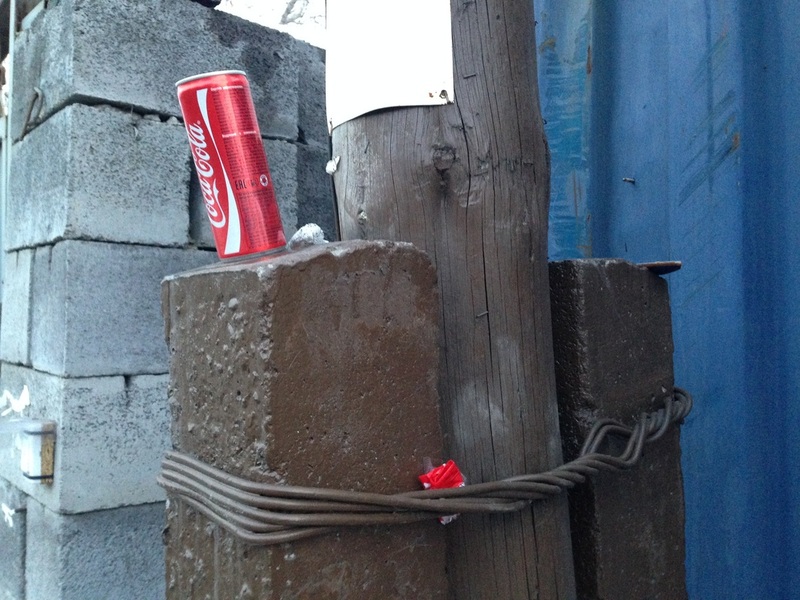 I was walking in an unusually undulating neighborhood of Almaty when I came across a man clawing up a telephone pole. 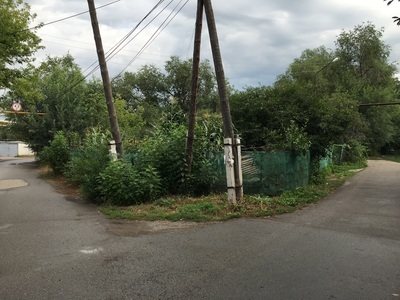 It was one of these compact patches of town below Tashkentskaya that always confuse me with their lumpy terrain, until I discover the creek that's carved the little valley out (or perhaps the valley came first, and gravity marched the water right into it. It's a chicken-or-egg thing that a hydrologist might be able to answer but that I'm happy to be baffled by). 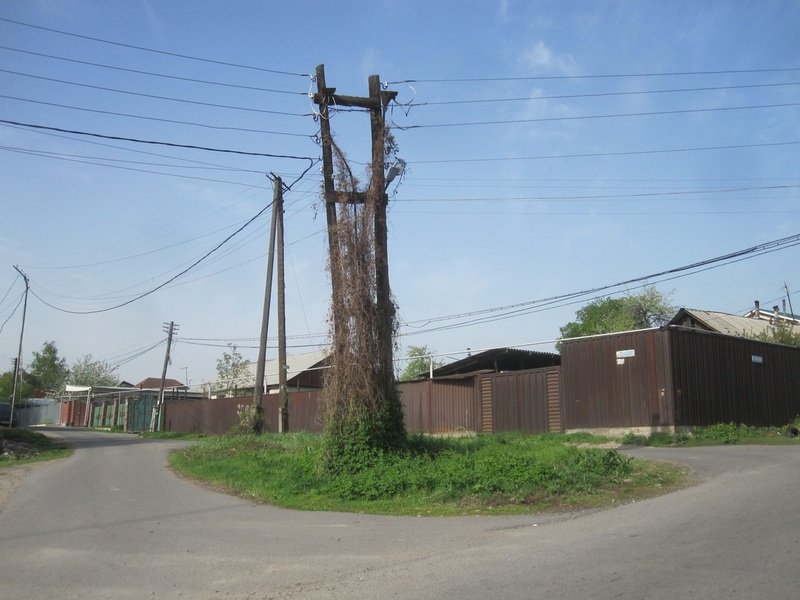 If the houses were gone, the creek and the valley would be an obvious pair, with no deduction necessary, but the houses in these pockets get so crammed together, slumlike, that the creeks themselves get hidden away. 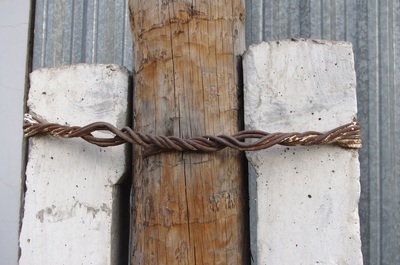 They pass under fences and get funneled through pipes, and when they do make themselves known, you cross them on understated bridgelets, shakey metal things or slabs of concrete. 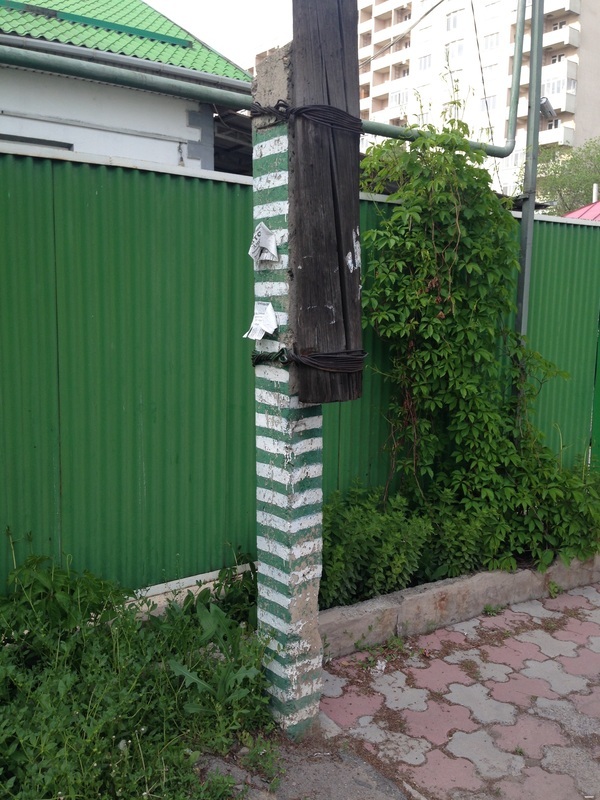 Now Almaty is a city that's so slanted that internal compasses citywide orient not north and south but up and down. Yet the creek had made the roads here steeper still, and the cramped planning has made the streets narrow, and it was all so steep and narrow that a cherrypicker couldn't possibly make it down that way to bring a utilities dude skyward for inspection. 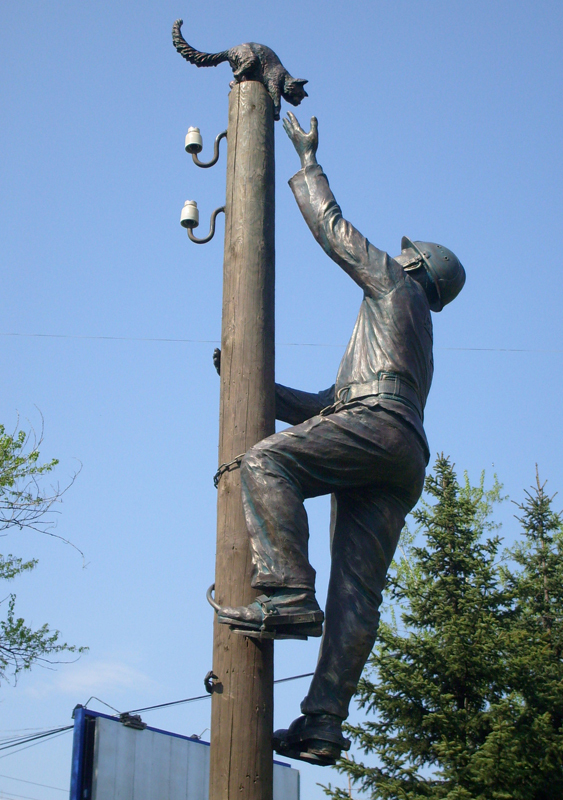 So the municipal worker I stumbled across that day was wearing metal grippers on his feet, and he was winching his way up the telephone pole the old-fashioned way. 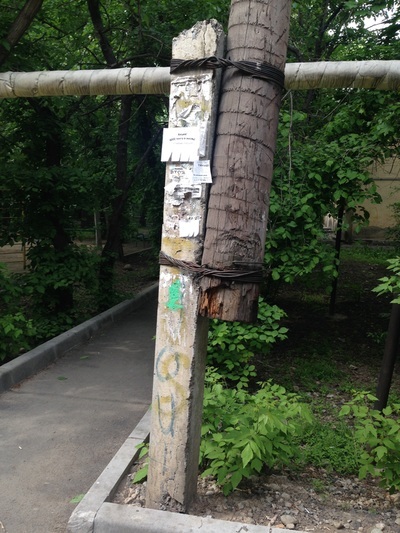 In English, this guy's called a linesman, but in Russian he's a монтёр [mont·yor] and he's respected enough in some parts to get his own monument. 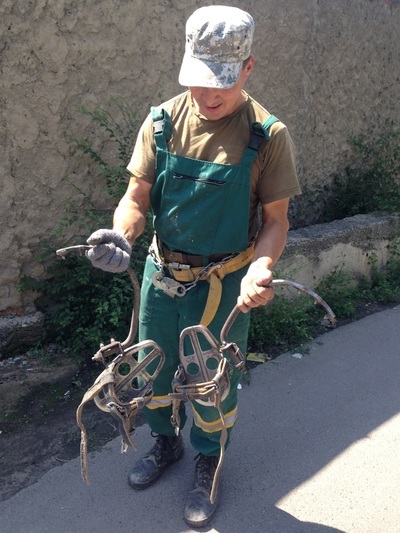 His secret weapons are his когти [kohg·tee], or claws, toothed hooks that you latch onto your boots like you would snowshoes. 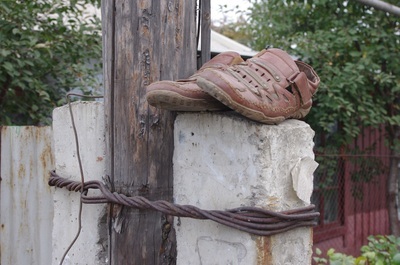 And those platforms? They're called korziny [корзины; "baskets"] and they're there for the linesman to stand on comfortably while he fiddles with the wires. 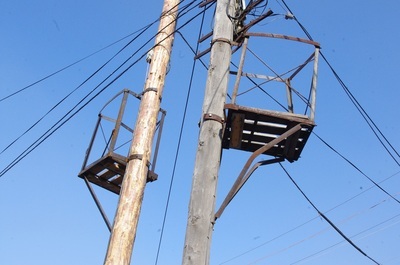 I like to know that these baskets are there, ignored by most and accessible only to those with the claws to climb to them.